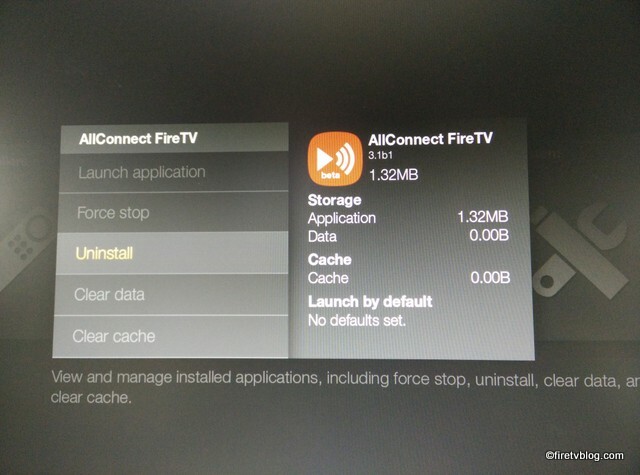 Some users have complained that the Fire TV Stick gets really hot and reboot on its own. This is unusual as I have not encountered this problem. The TV Stick does get warm but not uncomfortable to touch. Chromecast users reported similar issues early in production and Google never mentioned anything or admitted to any flaw. It is possible that it was due to some software code and an update fixed it. 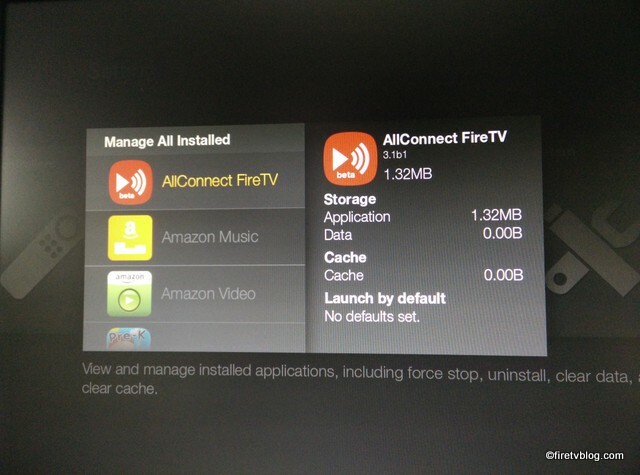 What can you do when the Fire TV sticks reboots due to overheating. 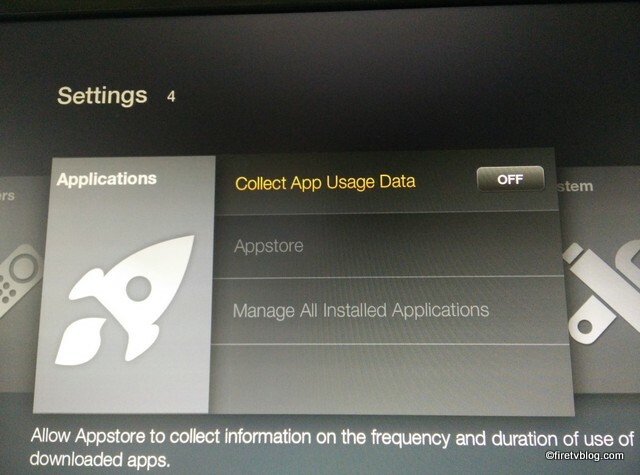 For the most part, the Fire TV Stick should work without any issues even if it is warm. 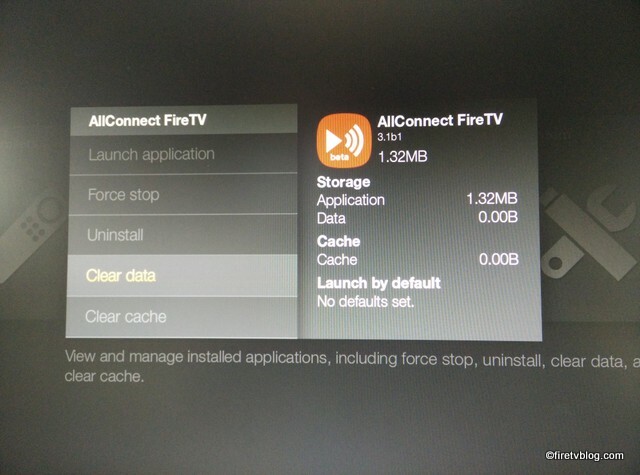 If the Fire TV Stick freezes or its response is lagging or is slow, you will want to try to fit it. Here are some tips to resolve overheating issues. First, you can completely unplug it for 2 min. then plug it back in. 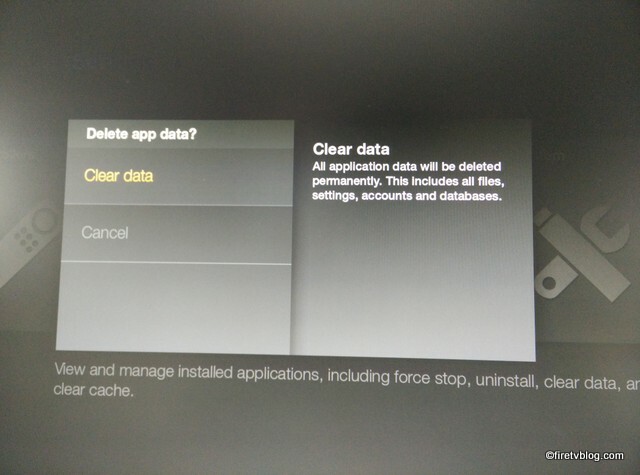 This will allow the Fire TV Stick to clear all cache and reload fresh. If that doesn’t fix it, try a factory reset. You will have to go through the hassle of setting up again but it shouldn’t take long. If that still doesn’t fix the overheating issues and your device continues to lag or freezes, I would return the device to Amazon and get a replacement. Amazon’s return service is very quick and simple and you shouldn’t have any issues. 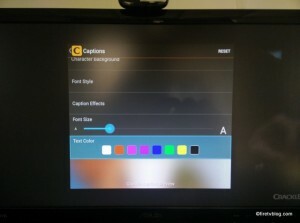 Many Windows phone users were jealous of their Android and iPhone counterparts for having numerous low-cost options to mirror their screen to their TV. Previously, the only option for Windows phone user was to purchase a Miracast dongle which isn’t a great option and can be hit or miss. Well Fire TV Stick just released an update which will allow you to mirror your Windows phone to your TV! 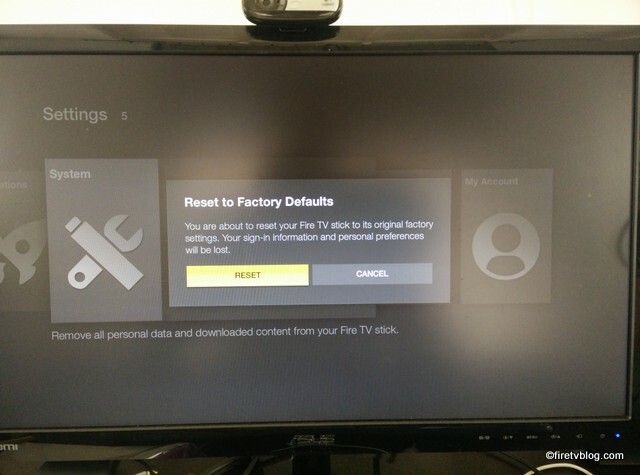 All you need to do is set up your Fire TV Stick to mirror mode by pressing the home key on your remote. 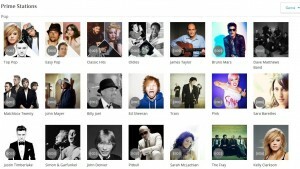 Next, go to your Windows phone settings and select ‘Project My Screen’. 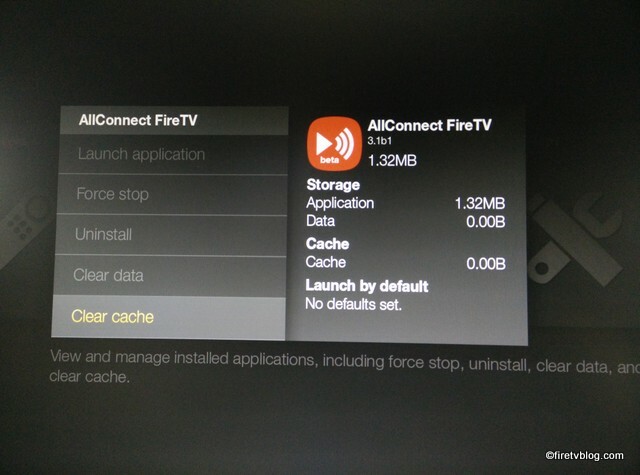 Below it, you should be able to see the name of your Fire TV Stick. 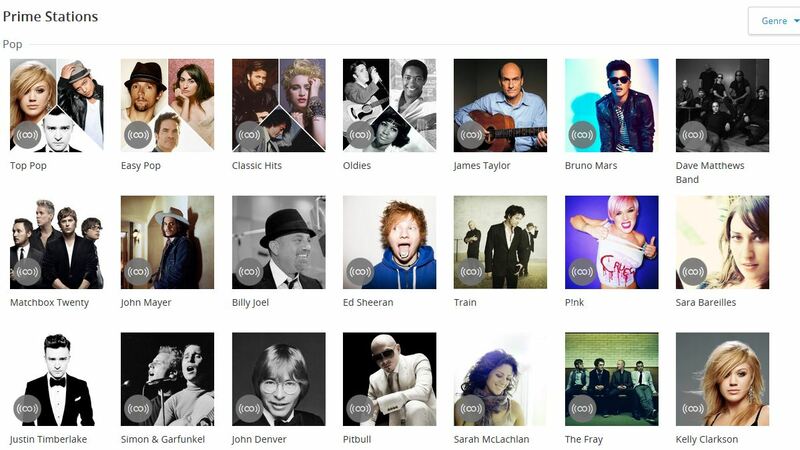 Select it and you will be able to mirror your Windows phone. 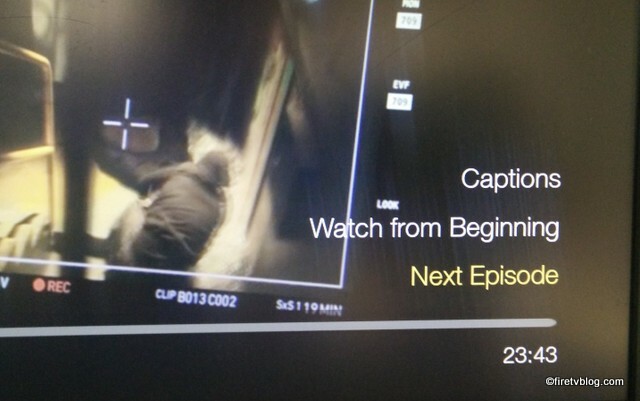 If you are like me, sometimes you want to use closed captioning to watch tv shows or movies to ensure you catch everything that is being said and not miss a thing. I also like to turn on the subtitles when the kids are asleep and you don’t want to wake them up. 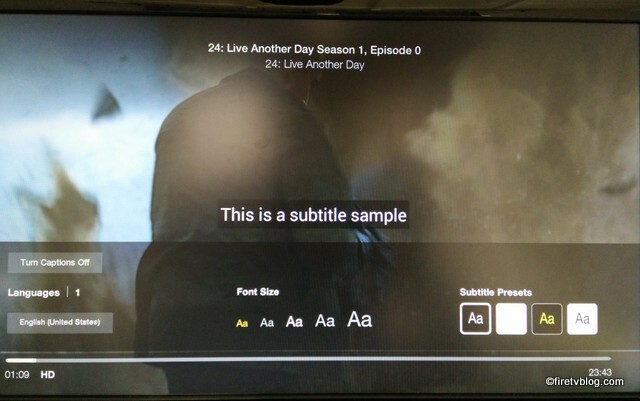 Fire TV and Fire TV Stick has subtitle capabilities but it depends on the app and the content you are watching. 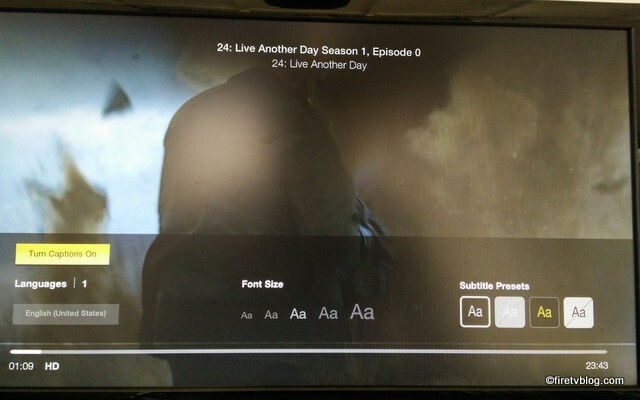 To turn on subtitles on Amazon Prime or videos on Amazon, you simple press the icon with the 3 horizontal lines on your Fire TV remote. 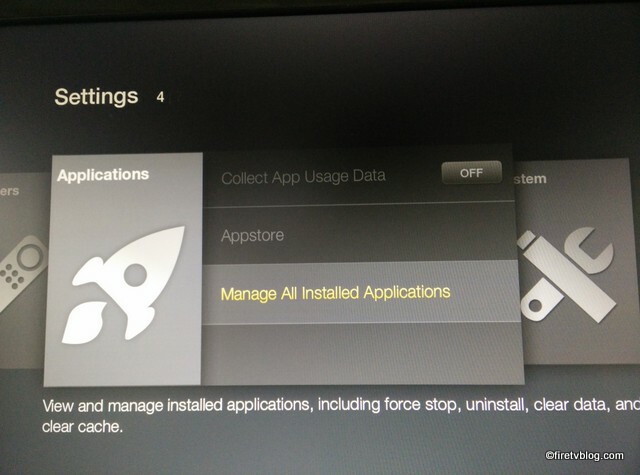 This is the menu button. 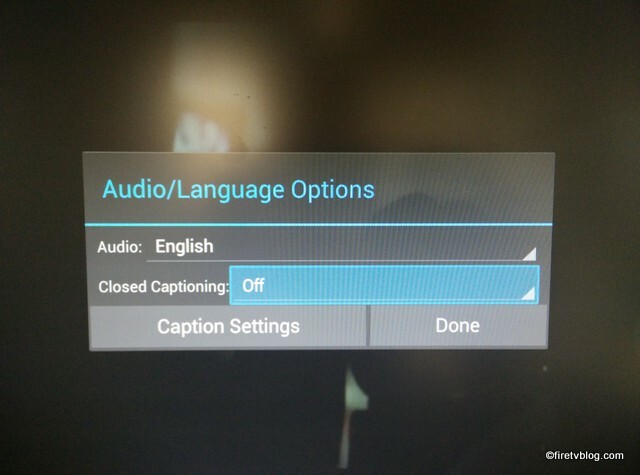 Once you click this button, you will see an option to enable Closed Captioning or simply ‘cc’ which is the same as subtitles. From here, you are given more options to select font size, color of the text and background of the text block. Most apps utilize the menu button similar to Amazon videos to enable subtitles or closed captioning. 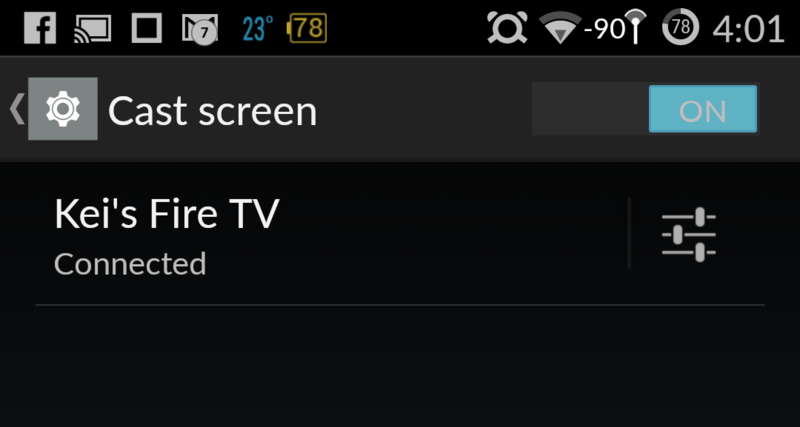 However, some apps such as Youtube has the cc icon beside their on screen navigation menu. 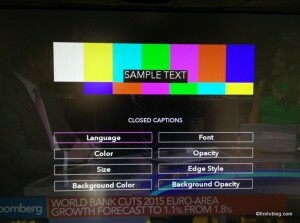 Closed captioning options also vary depending on the app. 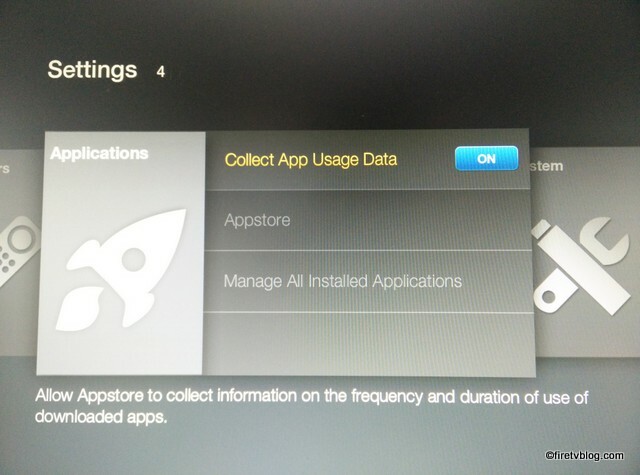 Some apps have lots of options for text size, actual font, and colors. The feature is enabled through the navigation menu and not through the menu button on your remote. What do you do if you enable closed captioning and subtitles but still do not see it? It is likely due to the content you are watching didn’t come with it. 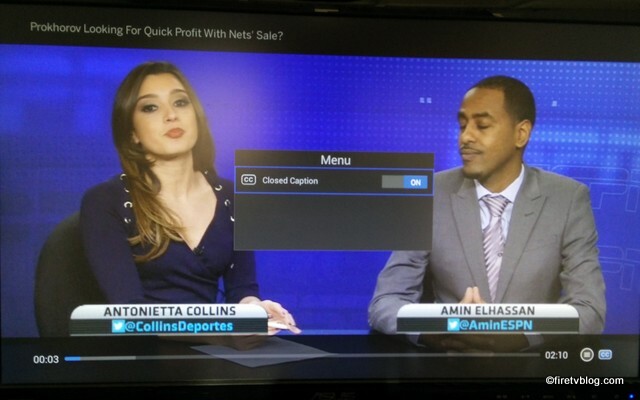 Even when I was working on the above snapshots and enabled closed captioning, nothing came out for ESPN or the Avengers video on Youtube. 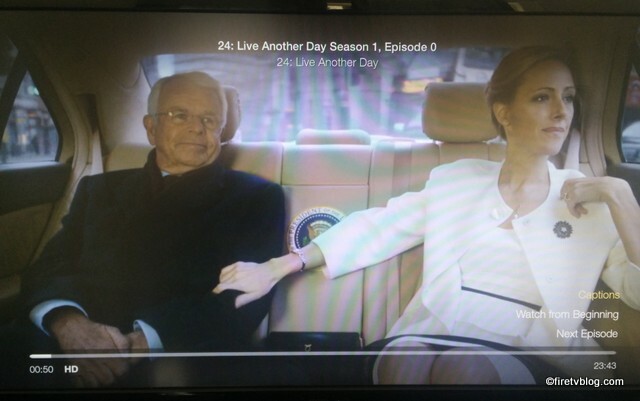 Some videos simply do not have the subtitles so don’t panic. 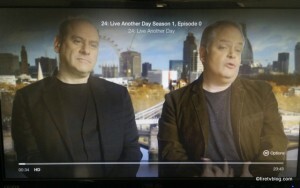 No content provider will gaurantee all of their videos include subtitles although Amazon has done a great job in updating their video libraries to have them. If there is an app you want us to test out, let us know! 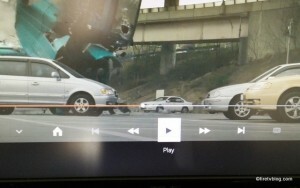 One neat feature for the Fire TV is the ability to mirror your phone or tablet screen to the Fire TV and Fire TV Stick. 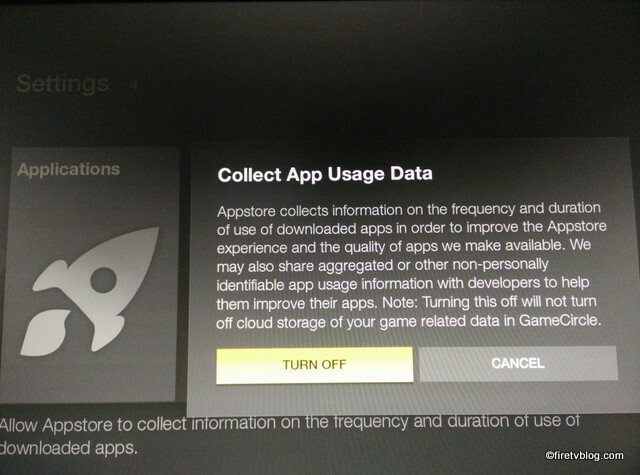 This will allow you to stream content from your phone or apps which is not available through Amazon appstore. 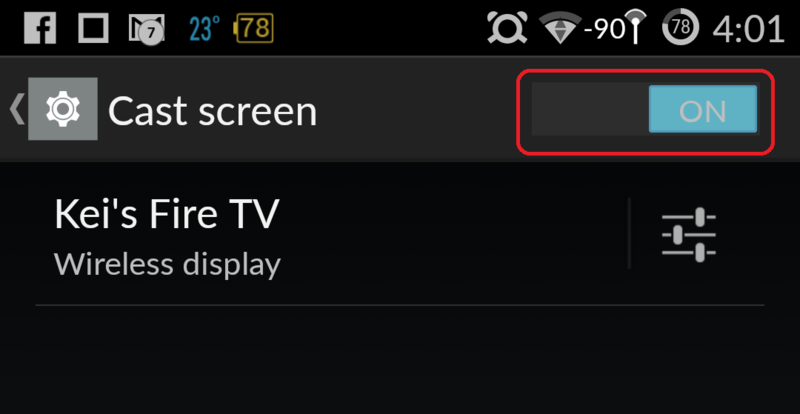 You can enable display mirroring by doing the following steps. 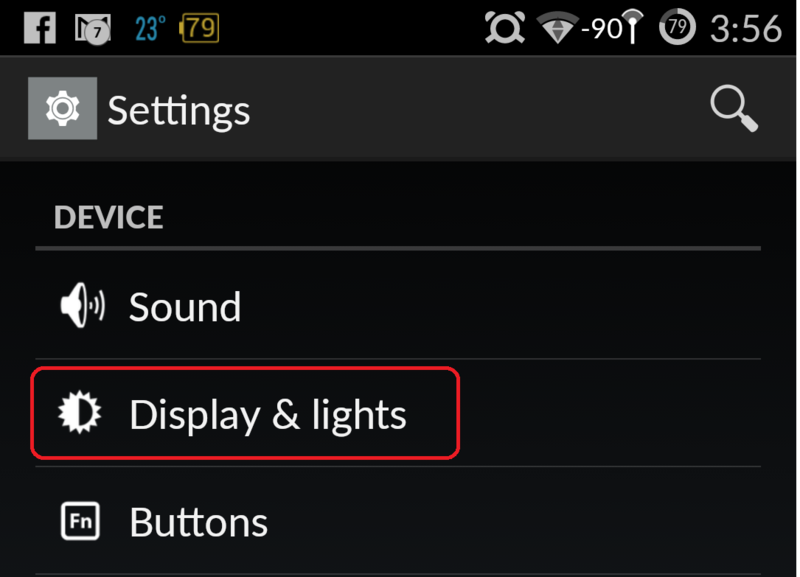 Note, this will only work for Android based devices running over OS 4.2.2 and above. 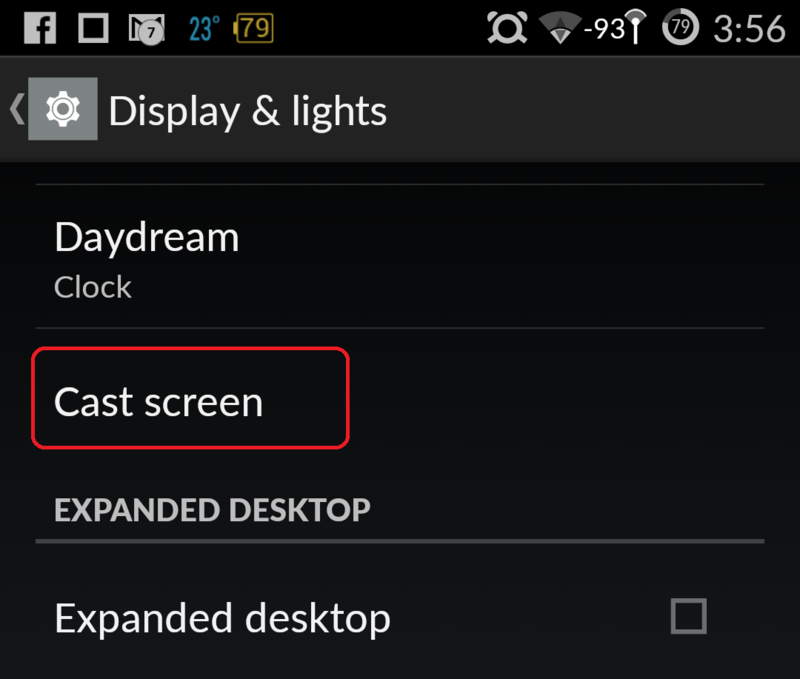 Next, click on Cast Screen. 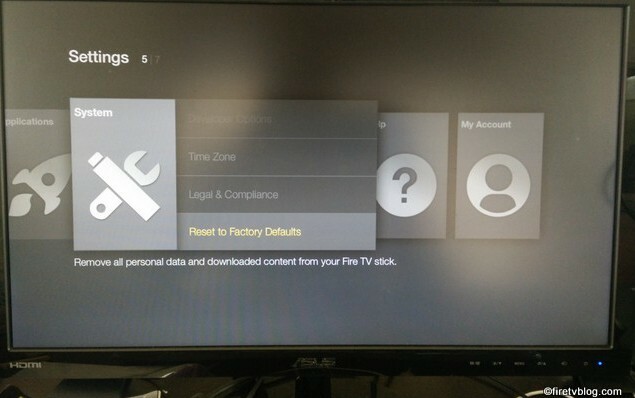 Turn on the toggle on the Cast screen setting and you should see the name of your Fire TV. 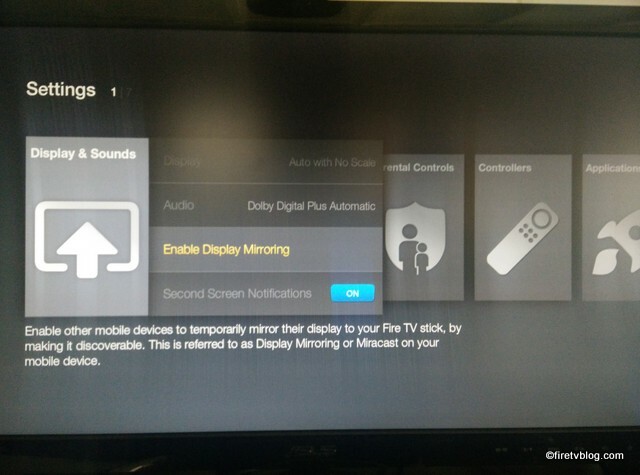 Click your Fire TV and you should be mirroring your screen. The screen shots are from the OnePlus One phone. I also tested this on a Samsung Galaxy S4 and my Nexus 7 tab and it all worked. Give it a try!